It looks almost certain that Kell Brook will defend his IBF welterweight title against his unbeaten mandatory challenger Errol Spence Jr. in his next fight. Speaking with Sky Sports News today, Brook promoter Eddie Hearn spoke of how a venue for the fight is now being looked at being finalised. According to the Matchroom boss Brook’s hometown of Sheffield is a strong possibility to play host to the hugely intriguing fight, while New York and Las Vegas are also possibilities. Hearn said he hopes to make a deal soon, so as to avoid the need for purse bids. Wherever this pick ’em fight is held, it will be the acid test for both men. 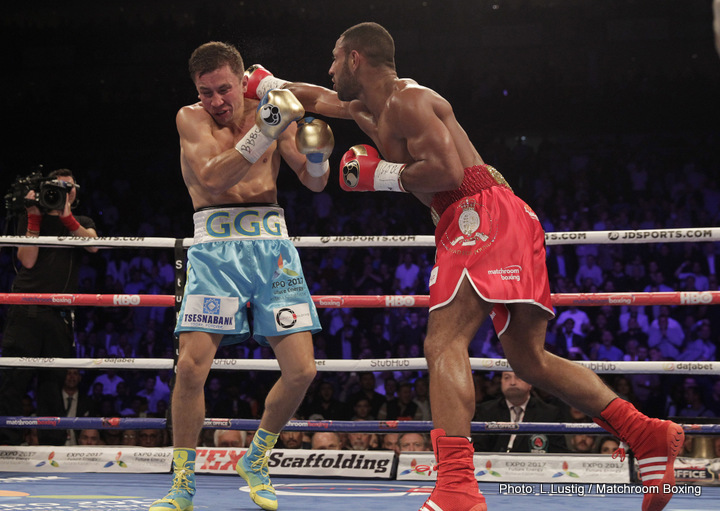 How good, or great, is Spence, and can Brook bounce back from his stoppage loss to middleweight king Gennady Golovkin? Two excellent boxers who possess speed, skill and power, Brook Vs. Spence could be one of the highlights of 2017. Naturally, it would be a huge buzz for British boxing fans if the quality match-up took place in the UK. With the Keith Thurman-Danny Garcia fight set for March and now Brook-Spence looming for May, the welterweight division will enjoy a superb first half of the year. Two potentially great fights, from which a very strong case can be made for either man winning. And who knows, maybe the two winners will meet before the end of this year.